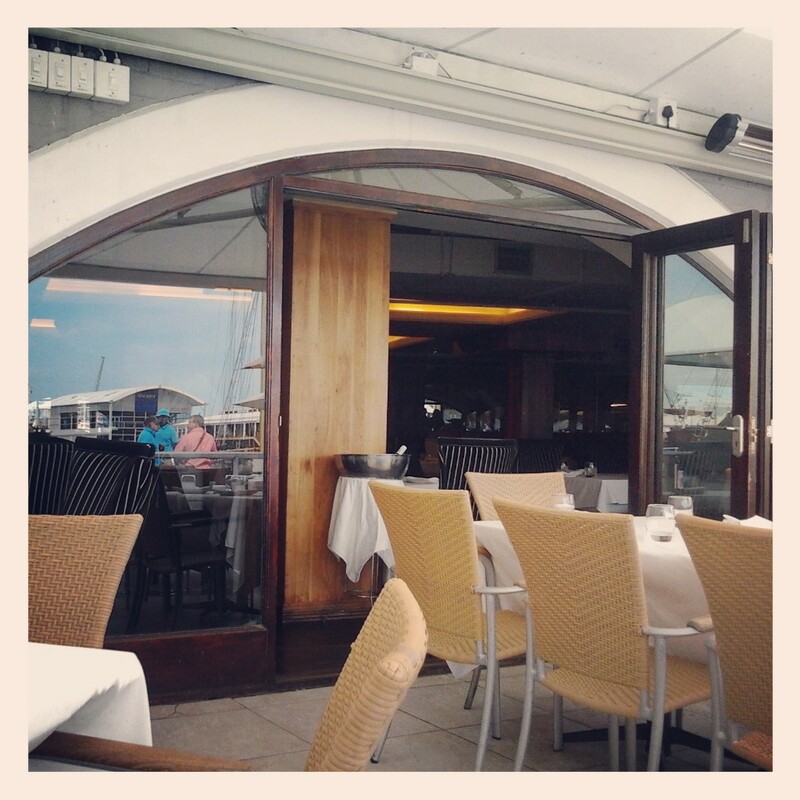 Few settings can rival Cape Town’s magnificent & graceful V & A Waterfront – but when you add a fine-dining sushi experience in a professional and smart, yet decidedly relaxed restaurant environment on the harbour’s edge to it, you have just done precisely that and you have been served by: Sevruga. Just so! Sevruga is a quality eat-out establishment with great views & comfortable, elegant dining options available both indoors and outdoors on its marvellous terrace. Found at the V & A Waterfront, Sevruga exists in Shop 4 of the Quay 5. 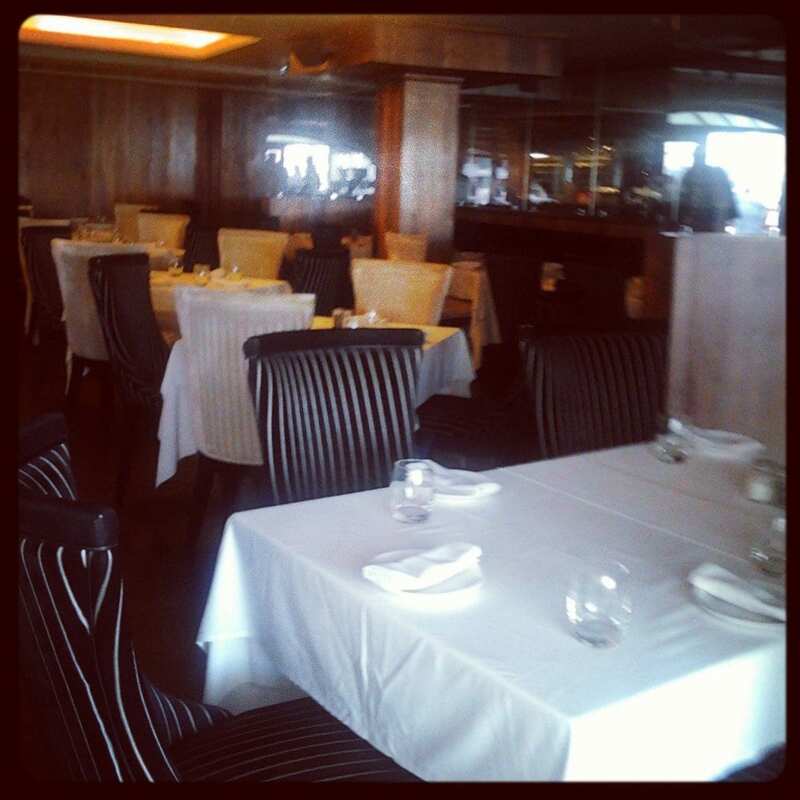 Inside, the restaurant’s separate bar and lounge, smart tables, beautiful wooden flooring and “fabulous American Walnut walls”, will surely keep you well-satisfied but it is the outdoor terrace that I love best (provided the weather is decent) because the harbour-side views from the white-clothed tables & comfy seats are unparalleled. 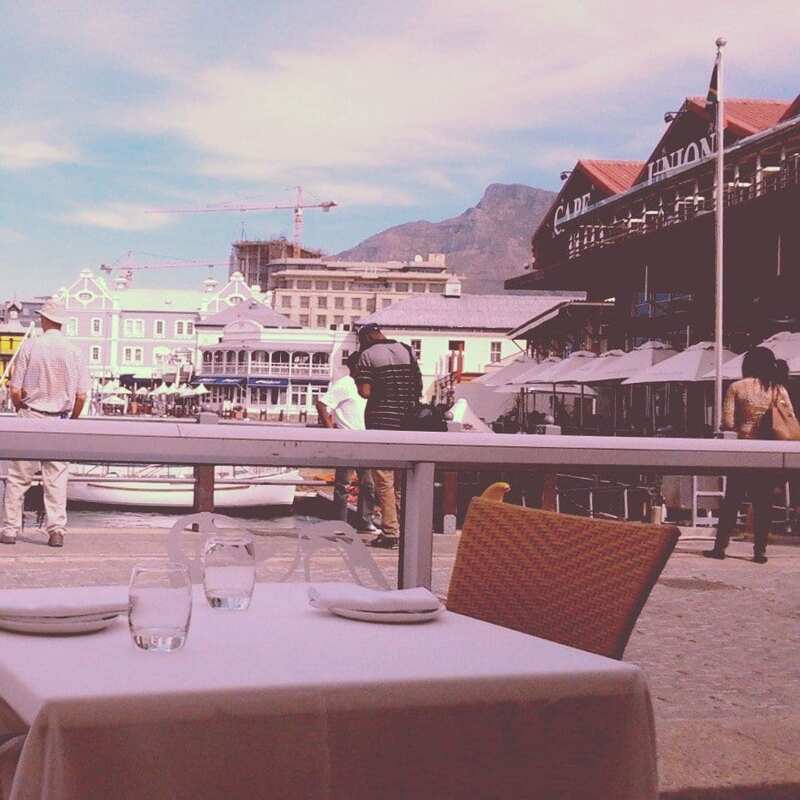 Not only are you faced with the most amazing views of Table Mountain, but you get to quietly take in the passers-by (both locals and foreigners alike flock to the area in their droves and rightly so), watch the tour boats come and go all whilst enjoying the salty smells, sounds & sights of the bustling, yet pleasant harbour. Although Sevruga, along with Beluga, is named after one of the two most expensive types of caviar in the world and it is fine-dining at its best, you can still enjoyed a relaxed afternoon there without feeling the need to dress up to the nines. Smart-casual or casual are both perfectly fine and you won’t out of place either way. Sevruga is famous for being a top-notch restaurant with great food but it’s their amazing sushi and cocktails (and specials to boot) that many of its visitors are after. 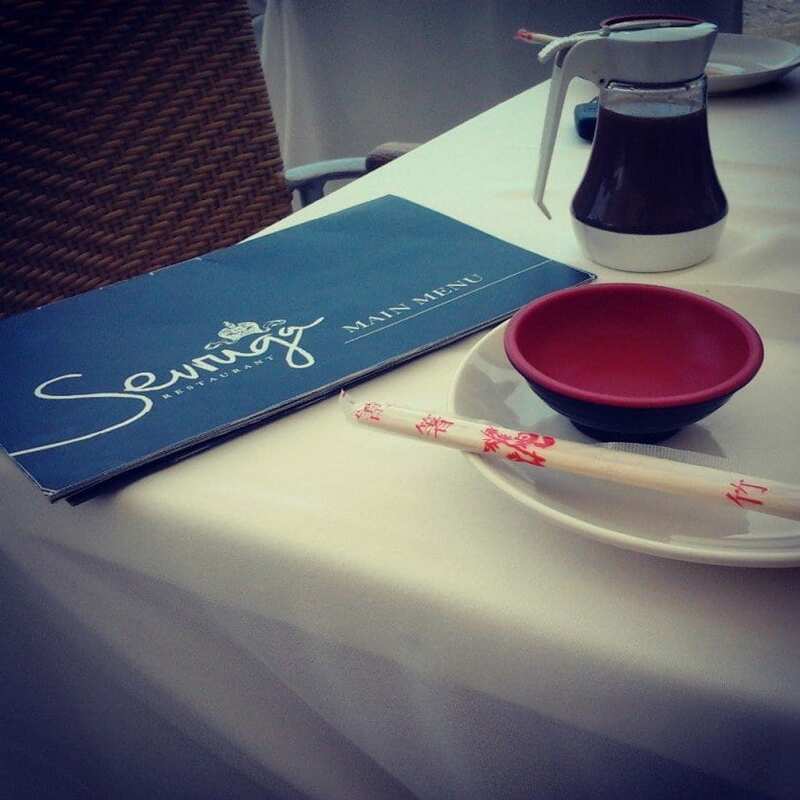 As a very special treat, I was taken to Sevruga’s for my very first sushi experience – and to be perfectly honest, you really could not wish for a better place or, perhaps even more importantly, better food, drinks or service. Cape Town is blessed with so many wonderful restaurants but I now feel that Sevruga is somewhat set apart from the rest. It is rather expensive, yes, but you are paying for quality and they certainly don’t rob you of the quantity factor while they’re at it! My travel companions and I visited it on a Monday afternoon last October for their running special: sushi, dim sum & cocktails at half-price on Mondays to Saturdays, from 12 p.m. to 6 p.m. (Note: it runs all-day on Sundays). With their excellent resident sushi master, Alan Huang, Sevruga has assured that it’s sushi is indeed top class. Our waiter, who was extremely courteous, well-dressed (like all their staff members), efficient and wonderfully helpful, without being invasive, was as much a treat as the food and drinks and knew the menu inside out – an added bonus since there’s a lot to choose from. We first ordered our cocktails and dim sum before later selecting our sushi platters. The first of my two cocktails was so creamy & delicious that I finished it a little quicker than normal but with something that yummy, who can really blame me? 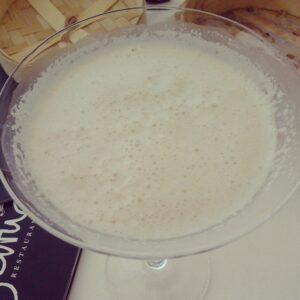 It was a white Tablerone Martini (normal price: R48) and it was truly tasty. 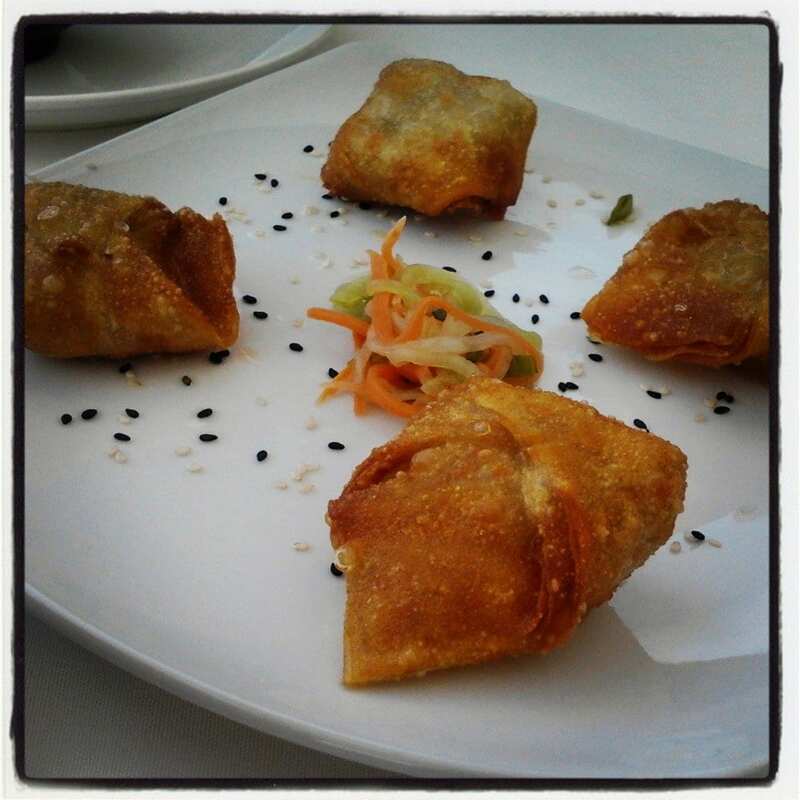 As for the dim sum, we enjoyed crispy wontons. Deep-fried to perfection, these were really good. They normally cost R64 as we went for: prawns and coriander. 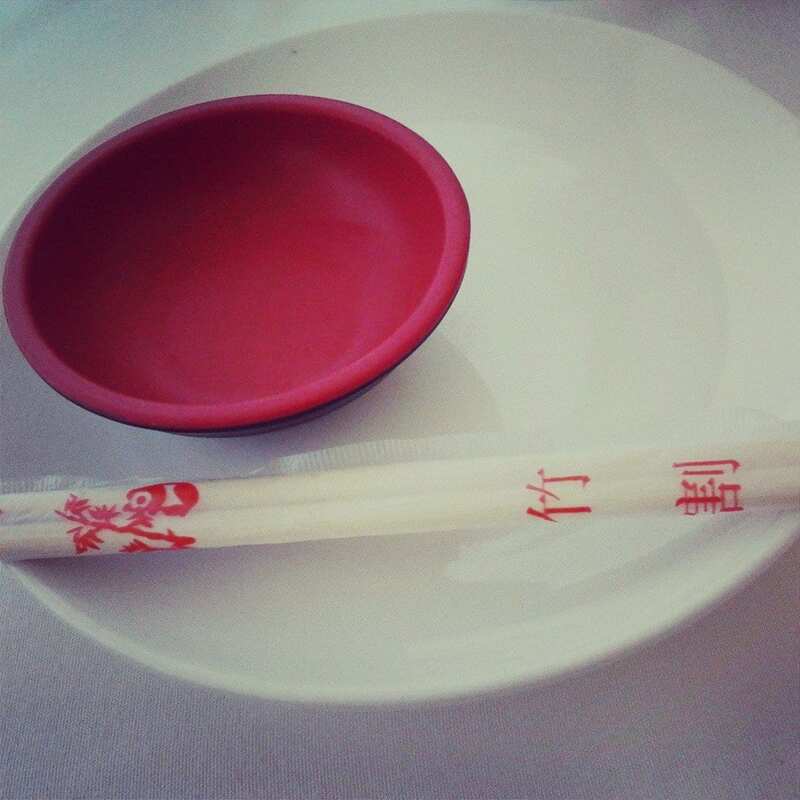 A very short while later, our soy sauce (one of the two bottles has a higher salt content if, like me, you’re unsure of the difference), cute maroon ‘dipping bowls’, wooden chopsticks & side-plates arrived. I have to confess that, despite my kind companions trying most patiently & carefully to show me the correct way to use chopsticks, I’m decidely hopeless at it. It is tricky, so if you can’t master the art, just try hold them in a way that looks passable and which works for you and try bring the platter a little closer or eat each piece in 1-2 bites to avoid the rolls falling apart or into your dipping bowl. White Plate: The normal price for this is R382 but their special price is R165. 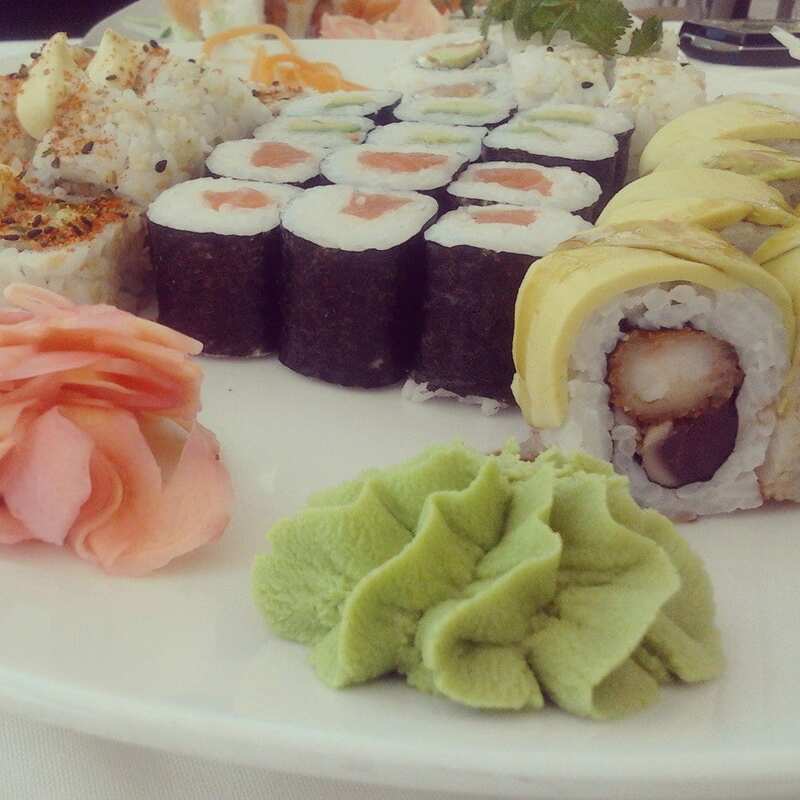 This plate consists of the following: salmon roses and tuna tempura rolls (x4 of each), california and rainbow rolls (x6 of each), salmon sashimi (x2) and tuna sashimi (4). This was a really great selection and I personally enjoyed each different type! 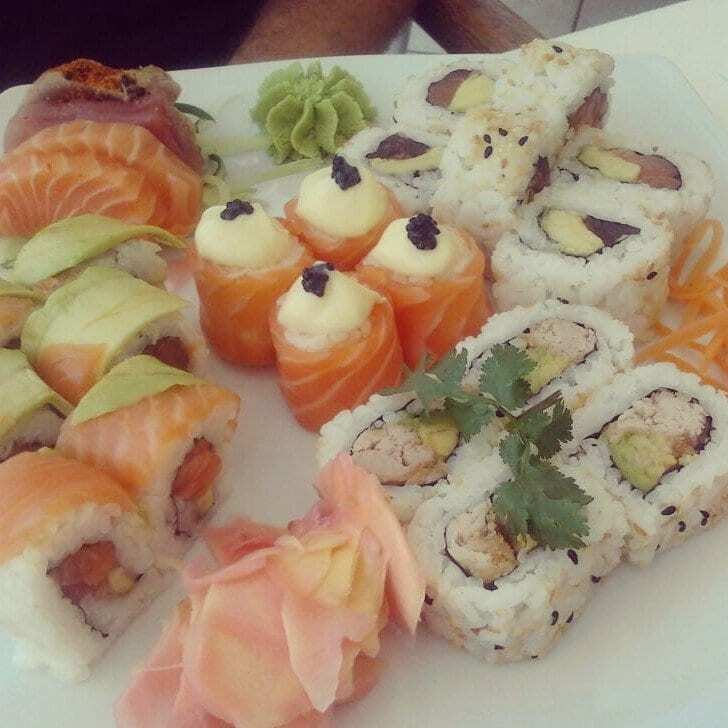 Then we had avocado (x4 pieces; R34 normal price) & salmon (x4 pieces; R52 normal price) Maki. Again, really great and I especially liked it because as avo. and salmon are two foods I always enjoy. 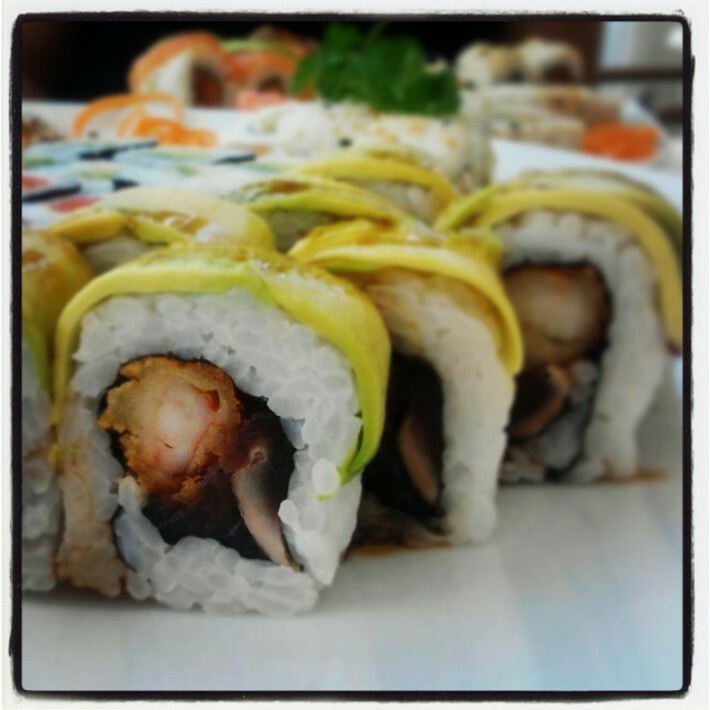 Lastly, we chose the Philadelphia Rolls (x8 collectively; normal price of R80). This comes with: smoked salmon, cream cheese, avocado and sesame seeds. I’m not usually a huge fan of cream cheese or sesame seeds but these were really tasty. I honestly thoroughly enjoyed everything I sampled, including my second cocktail. 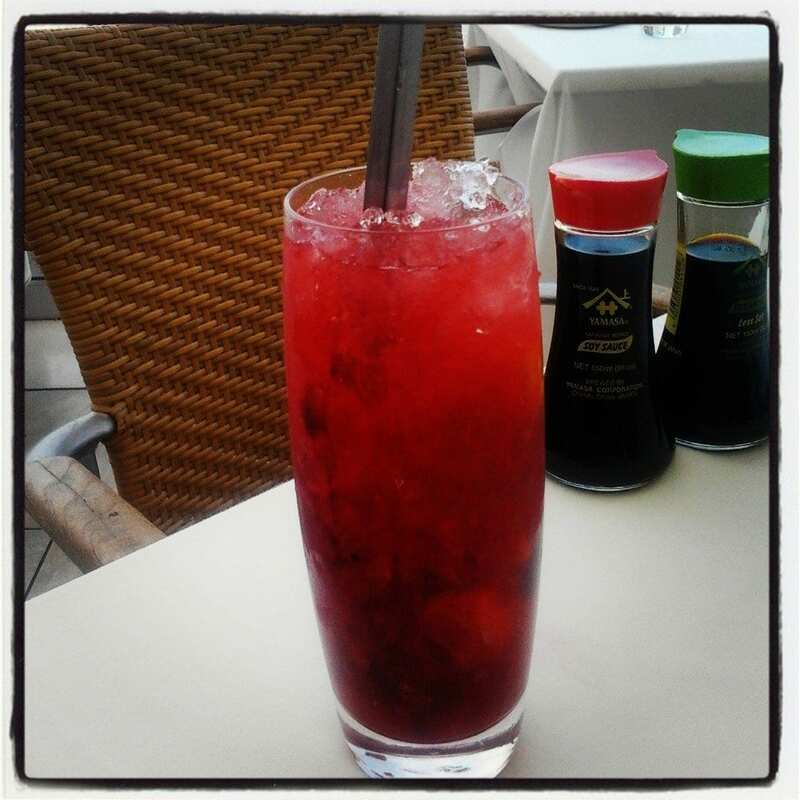 It was the Wild Berry Brumble (normal price R60) & came highly recommended by our excellent waiter. 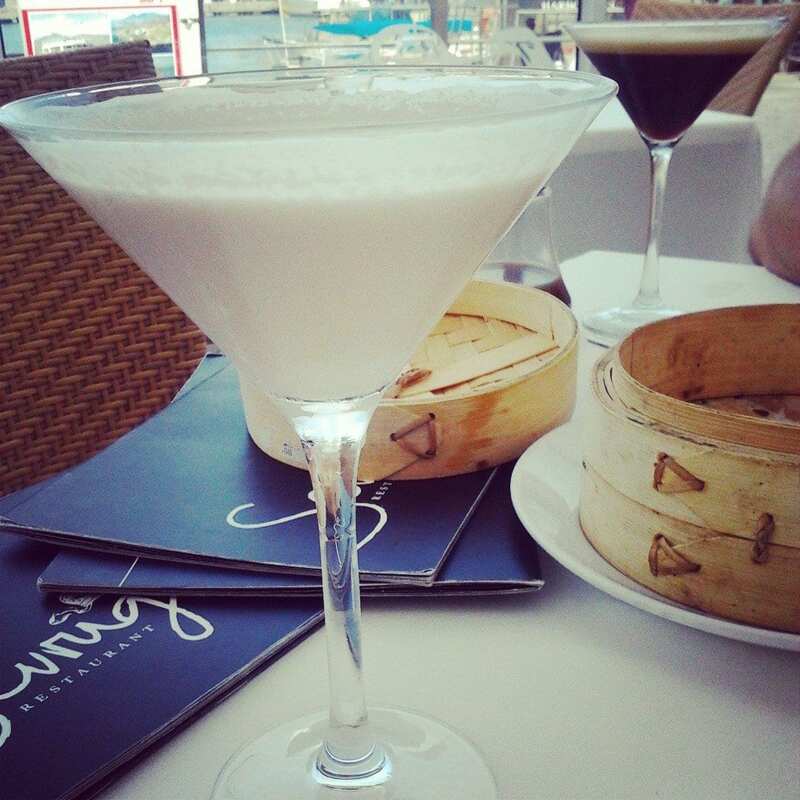 He described it as a ‘very fresh, summery drink’ and it was just that! It’s the perfect summer cocktail with generous amounts of ice & fruit bits in it. You also receive a healthy amount of raw ginger (artfully shaped) & a dollop of the dangerous green wasabi sauce. Raw ginger is apparently great for cleansing the palate, thus ensuring you get to clearly taste all the different flavours & mingled tastes of your different sushi pieces. 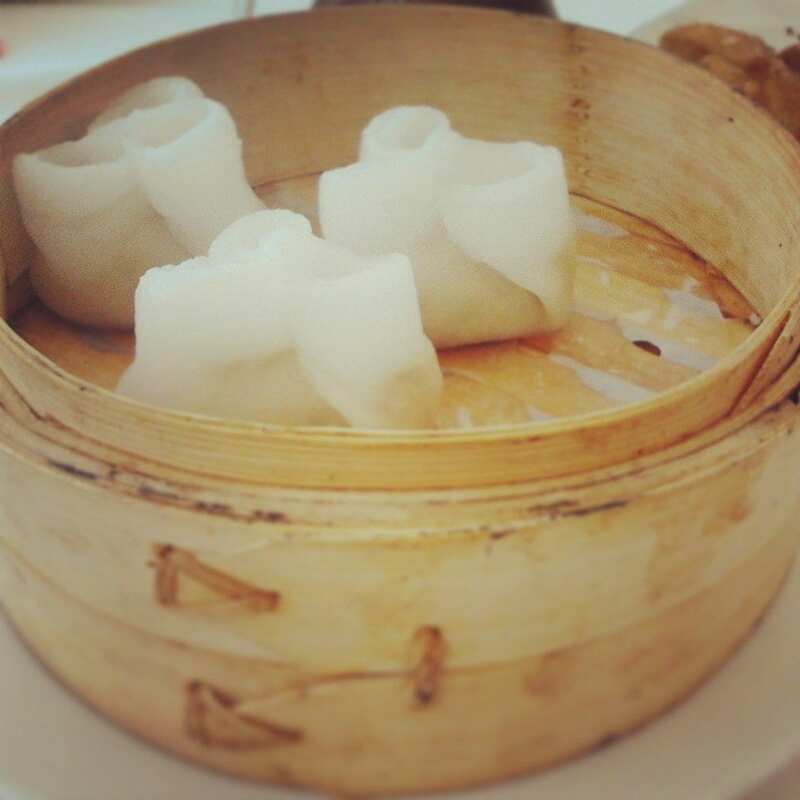 I loved the stuff and was happily munching it even after I had ‘cleansed my palate’. It’s naturally pretty sharp but if you enjoy ginger, you won’t mind. As for the wasabi: caution is advised. It’s better in quantities. Mix some in with your soy, as it’s got a hell of a nip – & I’m someone who adores hot foods & isn’t normally affected by them. 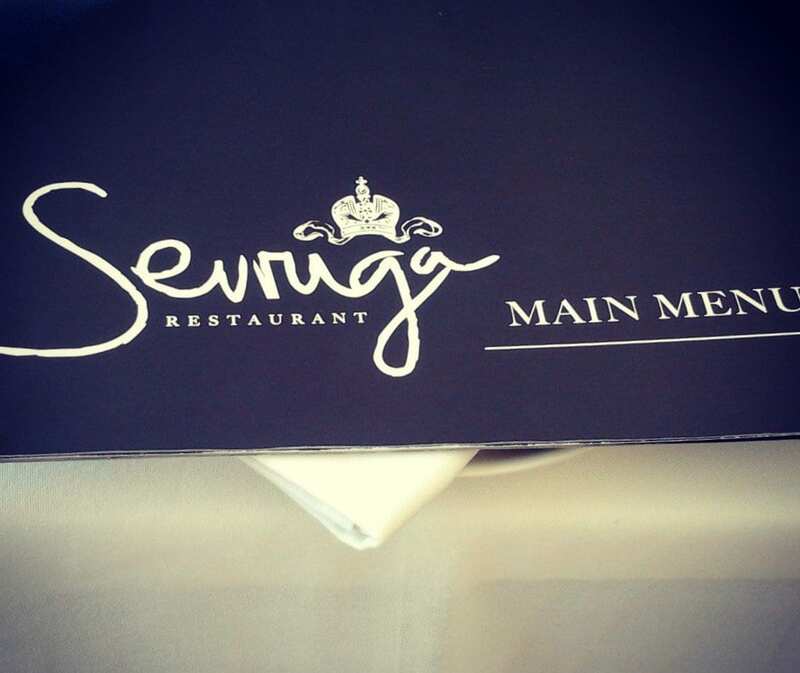 Sevruga gets a 10/10 overall rating because quite honestly, I cannot fault anything about the place. You have: spectacular views, quality food/drinks, impeccable table service (we hardly had to wait for anything, though this is dependent on how busy the place is at the given time), staff were polite (they all seemed to greet us upon arrival and thank us for coming when we left), the restaurant’s decor is elegant & classy and everything about Sevruga screams good service, elegance and an enjoyable time to be had. This was my first real fine-dining and sushi experience and it will take a lot to ever top it! Many thanks to www.sevruga.co.za for the additional info. used in this post! 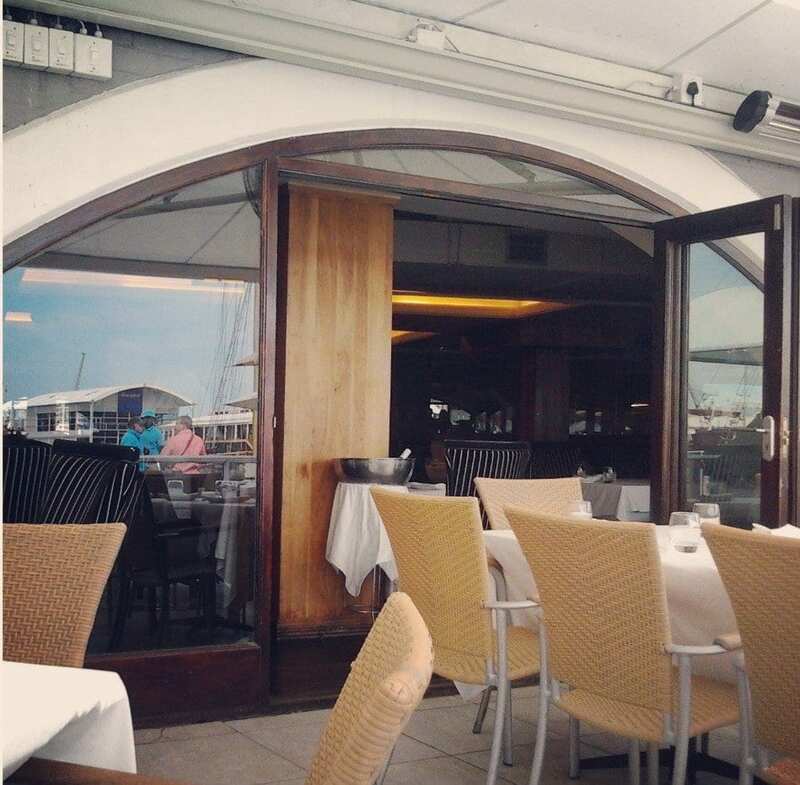 For more info., contact Sevruga on telephonically: +27 021 421 5134 or visit them yourself at: Quay 5, V&A Waterfront, Cape Town, Western Cape.